But wait, there’s more! Aspiring game designers and playful doodlers alike can spend hours of fun hatching their own levels with the user-friendly level creator included with the game. You can even choose different gameplay rules, art themes, and provide custom hints, tips, and search tags. Once you’re ready, it’s easy to share your creations online with other Chicken Wiggle players via the community portal. Now, anyone can be a game designer on the go! Players seeking more levels to play after completing Chicken Wiggle’s main story mode will find a wealth of unique levels to download, play and rate for free! 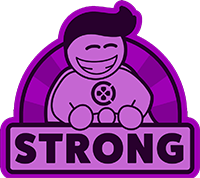 Level categories include Atooi official, popular, latest, or simply enter your own search tags or a specific level ID to locate a friend’s level. 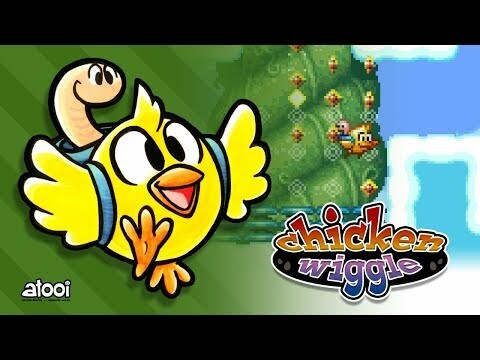 Chicken Wiggle - Sneak Peek! It's not perfect, but Chicken Wiggle tickles the creative part of my brain that loves drumming up platformer levels when I should be doing actual work. The campaign can be better, a lot better, but the hours I'll spend with this game will not be going back over those levels. I'll be spending them making my own little masterpieces and that's the part this game mostly gets right. Chicken Wiggle may have a lacklustre proposal for a main mode but its online component and level editor make all the difference. 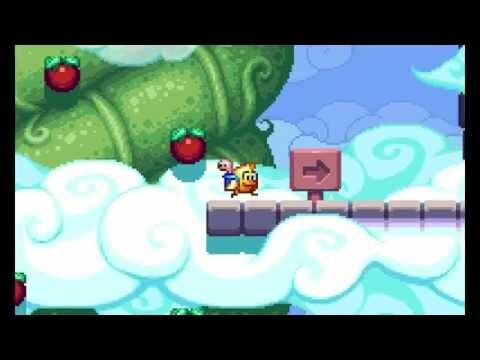 If a retro-styled 2D platformer is hardly something very original nowadays, Chicken Wiggle's additional elements beyond its main story turn out to be the game's big surprises and push it beyond a level where it would not quite stand out. 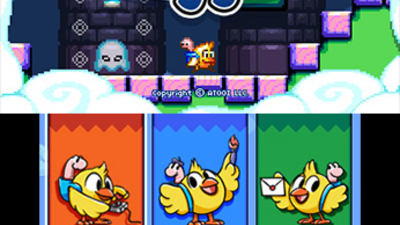 Overall Chicken Wiggle is a wonderful inaugural release for the folks at Atooi. Sales have been low on this one, but with millions of 3DS and 2DS handhelds on the market there's no excuse for that; go support the game and give it a download!